我們專注為: 店鋪 , 村屋 , 學校 , 商舖 , 社區中心, 貨倉及物流倉, 辦公室, 廠房, 停車場, 數據中心, 大廈, 屋苑 ,提供閉路電視 , 防盜系統工程!是你唯一信任保安系統公司。全港各區上門安裝 / 檢查維修 /保養-防盜系統. Why use an alarm system? Alarm systems are designed mainly to warn of unauthorised access to premises or attacks on persons, premises or installations such as safes. 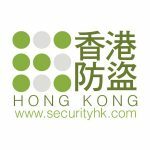 Every year in Hong Kong millions of dollars are stolen from businesses and private residences. Alarm systems can help prevent this by warning the owner of the business or premises of unauthorised access and allowing the owner to respond to that attack by, for example, informing the police. 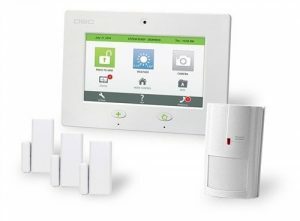 There are different types of alarm systems available. There are two main types; audible and silent. An audible alarm is one where the activation by an intruder or other person results in an audible sound such as a bell or siren. A silent alarm, also known as remote or monitored alarm, is one where an activation results in signal being transmitted to a monitoring station where the person monitoring the signal informs the police or initiates some other response to the alarm. Alarms can also be a combination of both types; the idea is that the audible alarm acts as a deterrent to intruders causing them to flee from the scene whilst the remote monitoring of the system ensures that the scene is attended by a police officer or other person. 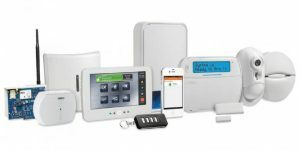 The other choice in alarm systems concerns the type of sensor or sensors used and this would depend on a number of factors such as the nature of protection required, budget, etc. 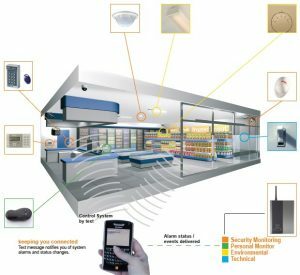 Alarm systems can be used in a variety of situations; to detect unauthorised entry into premises of any kind, to detect tampering with safes or other devices/installations requiring protection, to detect removal of items, for example paintings in a gallery or expensive items in a shop, and so on. There are many companies, which sell, install and provide maintenance for alarm systems. Make sure you acquire your system from a reputable company licensed by the Security and Guarding Services Industry Authority. All intruder alarm sensors, detectors, control panels and signalling equipment should be designed to meet the American Underwriters Laboratories (U.L.) Standard, British Standard 4737, or equivalent. Check whether the system to be supplied to you meets the requirement. Make sure that the authorized personnel who operate your alarm system are familiar with how it works. This will help reduce false alarms. Furthermore, ensure that details of the system and other security aspects are not divulged to unauthorized persons. A panic alarm normally consists of a either a “button” or other device such as a “kick bar” which allows an employee to discreetly activate an alarm when a threatening situation exists, for example, during a robbery. Panic alarms are commonly used in financial institutions, jewellery stores and establishments where goods of high value are kept or stored. They may also be installed as part of a domestic alarm system. Panic alarms can be connected to a monitoring centre or to an on site control room or they may activate an audible bell/siren only. The system can also be configured to activate CCTV recorder to record the event. The alarm can be used to request emergency assistance from local security, police or emergency services.